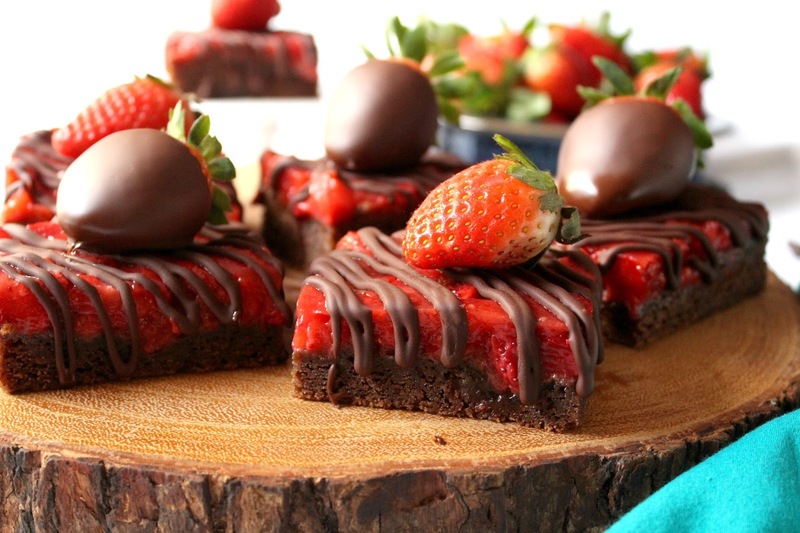 Chocolate and strawberries are always a winning combination. 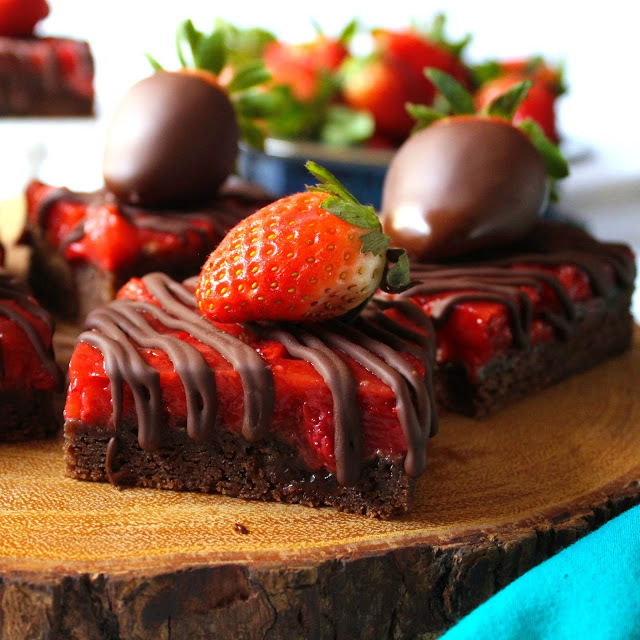 Luscious strawberry filling tops a chocolate bar that’s a mix between a cookie and a brownie. A drizzle of chocolate ganache tops these delectable Chocolate Covered Strawberry Bars. Strawberry season in Florida yields sweet, delicious red fruit, and aside from eating it straight off the bushes, I love baking with strawberries. Strawberry Fraisier and Strawberry Freezer Jam are a must, and I also love making Strawberry Lemonade Spritzers when the weather starts to warm up. 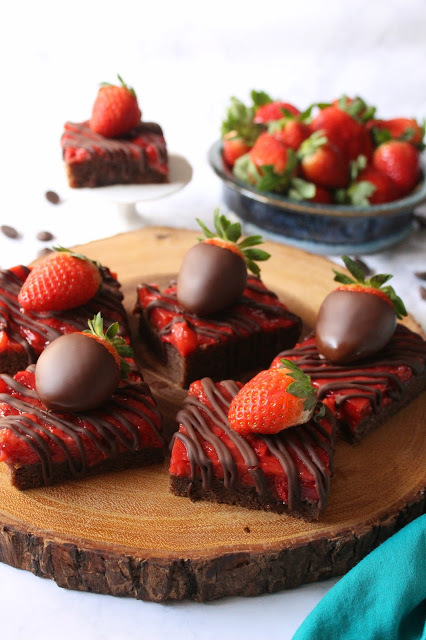 Brownies and strawberries are an amazing combination – rich, dark chocolate and sweet strawberries are a favorite of mine. These bars are easy to make and it will look like you took hours. The chocolate drizzle tops it perfectly. You can leave them as-is, or you can top them with chocolate dipped strawberries. I bet these would look great with a chocolate and white chocolate drizzle too.